President Dmitry Medvedev has posted a strong warning in his Twitter blog, vowing to deal with all those behind the riots that rocked the center of Moscow on Saturday, prompted by the killing of a football fan earlier this month. 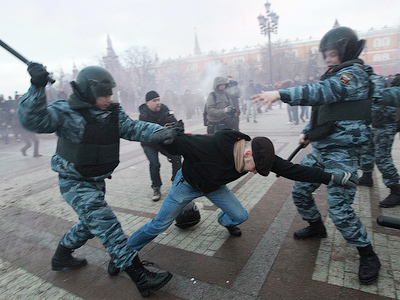 Dmitry Medvedev has also said that the situation in the capital, as well as the whole country, is under control. Saturday’s rally saw thousands gather at Manezh Square, in a central location not far from the Kremlin, to mark the death of a Spartak Moscow supporter, Egor Sviridov. He was killed in a mass brawl involving some men born in Russia's North Caucasus. 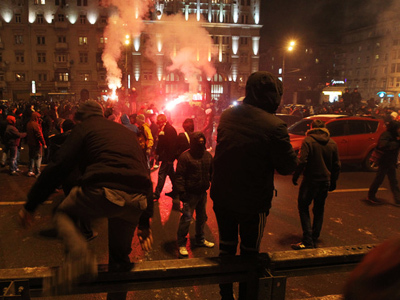 The Interior Ministry believes Saturday’s riots were instigated by Nationalist groups. Special forces deployed to the area found it difficult to break up the rally, which grew from what authorities expected to be a peaceful gathering to an uncontrollable mob, says political analyst Dmitry Babich. The fact that ultra-nationalist sentiments gained the upper hand at a rally that was originally organized by soccer fans is a worrying sign, said Aleksandr Verkhovsky, director of the Moscow-based racism watchdog Sova. 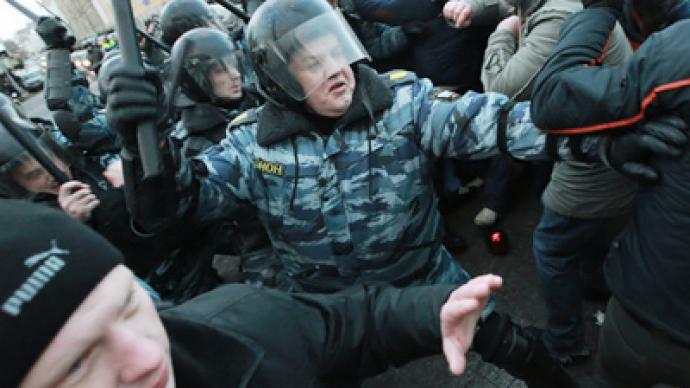 ­Earlier on Monday, police again appeared to be cordoning off Manezh Square and stepping up security efforts in what was said to be preparation for another confrontation. According to media reports, a meeting had been arranged between football fans and members of the Caucasian Diaspora near Manezh Square. The shopping mall in the center of the square had been closed for the day, but its managers refused to comment on the reasons, Interfax news agency reported. Shortly thereafter, however, police began to leave the scene.